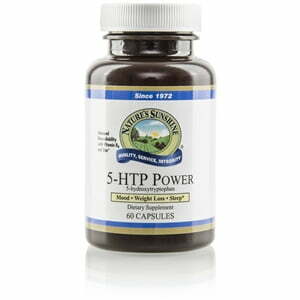 Nature’s Sunshine 5-HTP Power assists the body in maintaining a healthy appetite, good mood, and ability to sleep. 5-hydroxtryptophan, or 5-HTP, turns into serotonin as it is digested and may support positive mood as well as regulate the appetite and provide a restful night’s sleep. 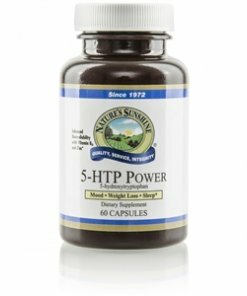 In addition to 5-HTP, 5-HTP Power contains eleuthero, ashwaganda, suma, vitamin B6, and zinc to support the processes of 5-HTP.